The on-board CMOS color camera CAM1 (OmniVision OVM7690) supports 640x480 pixel image capture and connects using an 8-bit interface. 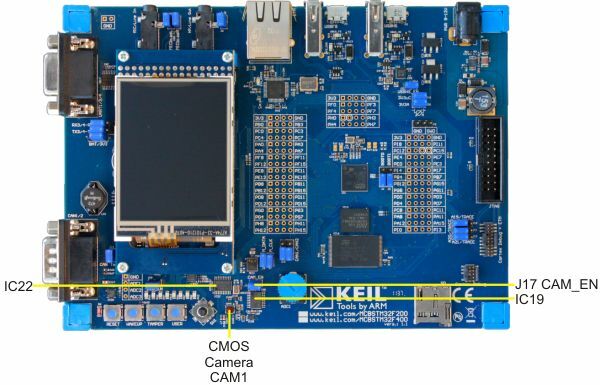 The camera connects to the MCU via transceivers IC19 and IC22. Removing jumper J17 disables both transceivers which isolates the camera, effectively disabling it.